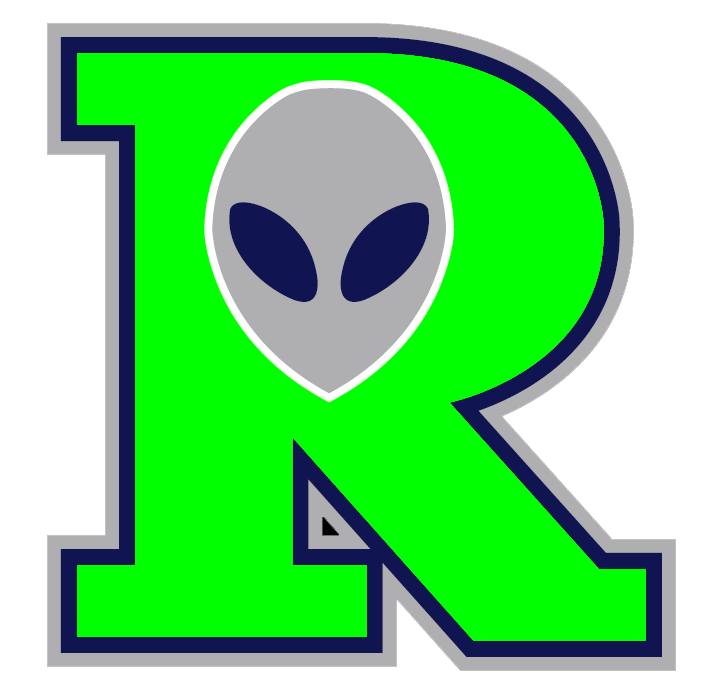 ROSWELL � Raton�s pitching staff looked a lot better Friday night than they have in a while, but this time errors betrayed them, letting Roswell continue its winning streak with a 9-2 victory. As the score shows, though, there was strong pitching from both sides, with Jonathan Sa allowing only one Oso run on four hits and five strikeouts. Raton had to make a last-minute pitching change, putting in Larry Rodriguez � just brought over from the Fuego � to start. 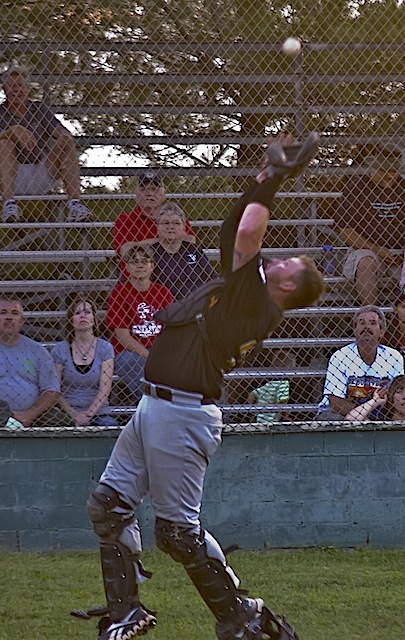 The Roswell first-inning runs came when Ryan Normoyle walked, Andrew Deeds was hit, then, after the second out came on a fielder�s choice, Mike McCarthy walked to load the bases and Goose Kallunki double, scoring three. Roger Bernal followed that with an RBI single, and the Invaders were up 4-0. They added another run in the third when Deeds singled, stole second and came home on an error, and three more in the fourth when Sa reached on a fielder�s choice, Chad Kruse singled, Normoyle doubled them in then came home on a Deeds double. The Osos broke the Sa shutout in the top of the fourth when Westley Jones and Aaron Carman singled and Jones came in on a pair of outs. 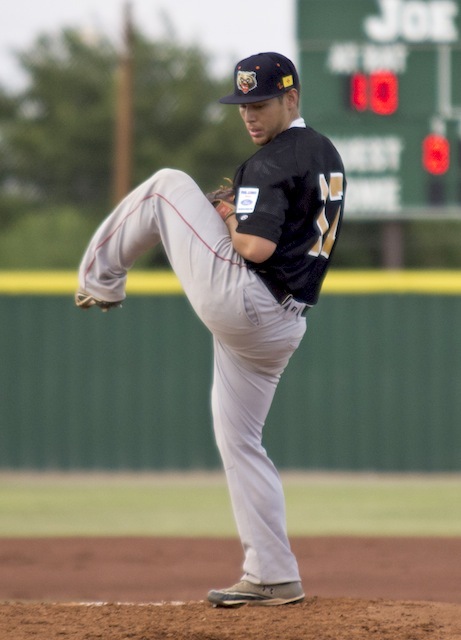 Cameron Powers came in for Rodriguez in the fourth and Taft in the sixth, and along with Sa, who continued his mastery of the mound, the pitchers kept the hitters mostly off base. Roswell broke that drought in the seventh when two Raton errors betrayed reliever Ivan Velasquez, giving the Invaders their ninth run. Those errors could have been due, in part, to the fact the rain was coming down pretty hard during the bottom of the seventh. The wind and lightning had started moving in about an inning earlier, but play was never stopped and it let up after about 15 minutes. 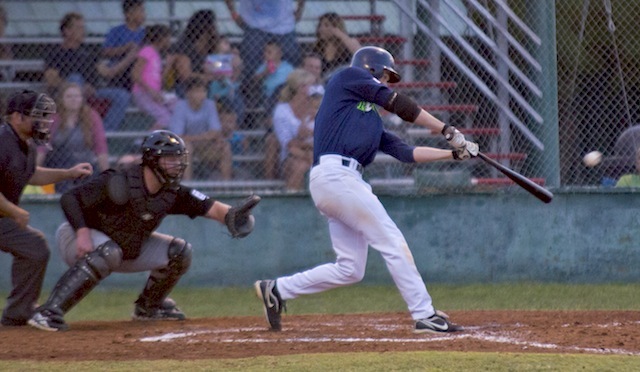 Jesus Carlos came in for Roswell in the eighth, allowing the game�s final run when Stedman Smith singled, stole second and came in on a Carman RBI. 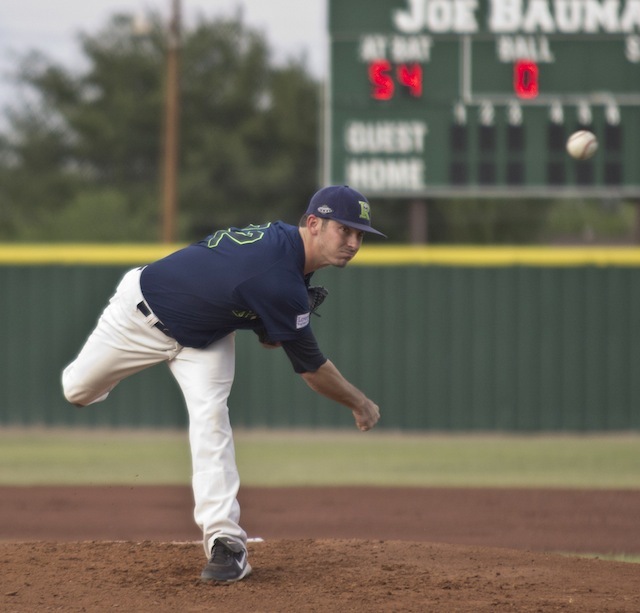 While Sa only gave up six hits, Carlos one and closer Ryan Rogers none � for seven total hits � the five Raton pitchers only allowed 11, with only three of the Roswell runs earned. While the Invaders continued to take advantage of the other team�s mistakes, Ebright had good words about the Oso pitching. 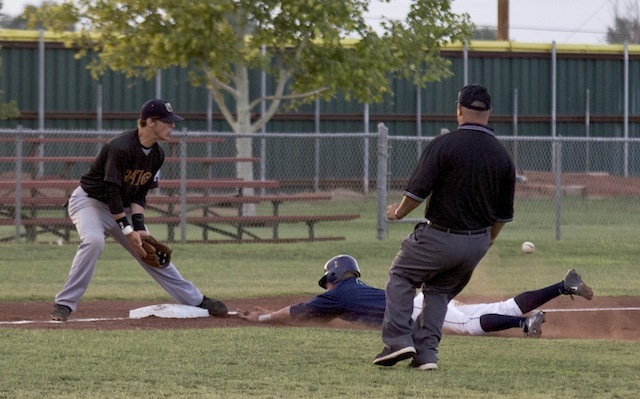 Ebright can only hope that�s not Saturday, when the teams meet for the final game in the series before both head up north beginning Sunday, Raton back home and the Invaders to Taos.